Many immigrants to Australia feel the need to change their name to fit in, Heba Batainah writes. Before his recent death, László Ürge was one of the most iconic figures in Australian sport. His pioneering work for a national broadcaster over many decades brought the world game to Australia. His influence was substantial, his loss is profound and he has rightly been widely mourned. But despite this, most Australians wouldn’t know his name. What they would know, however, is the name he went under – Les Murray. As the nation mourns the loss we are reminded that he was one of many immigrants who felt the need to change their name in order to be accepted into Australian society. In a similar vein, Labor Senator Sam Dastayari recently admitted that he, too, changed his name from Sahand to fit in. History is littered with immigrants from a variety of backgrounds changing their names for a variety of reasons, not all to do with fitting in. Issues of culture, religion and race continue to influence ideas about who belongs in Australia. And our names act as signposts for stereotypes. This is true for the names not just of people, but also of sports. Most people are aware that Australians usually say ‘soccer’ rather than the more globally-recognised ‘football’. Perhaps less known is that for many years the sport was also called ‘wogball’ by some Australians as a derogatory reference to its popularity with immigrants. Names continue to be seen and heard as identity markers. For this reason, research consistently shows that names can make a difference in job-seeking success rates. And contrary to popular opinion, research also suggests that language diversity strengthens communities – something we must all be reminded of. As a nation, we no longer accept the basic premise of the White Australia Policy. For much of the 20th Century, immigrants were forced to shun their native languages and cultural practices. More recently, Australia has embraced a practical multiculturalism and diversity has increased considerably. The idea of multiculturalism arguably began in 1973, when Al Grassby, the Federal Immigration Minister in the Whitlam Labor Government used the term ‘multi-cultural’ in his speech `A Multi-Cultural Society for the Future’. Multiculturalism saw the principle of ‘assimilation’ be replaced by ‘integration’. It became a policy that over time presented a possible new lexicon of cultural inclusion, even if it was simply some kind of recognition that Australia is a land of immigrants and that people live multicultural lives. Since its introduction, the major aim of multicultural policy has been to assist immigrants to access material and language resources in order to become full members of Australian society. A secondary aim is to advance recognition of the importance of cultural maintenance for immigrants. And while it has been seen as necessary to allow immigrants, for justice and equity purposes, to keep their cultural practices, this has usually been within limits specified by the government. Despite the multicultural shift, many Australians continue to consider changing their foreign-sounding names in the face of pleas for them to integrate and to speak the English language. Like many other immigrants, Les Murray may well have felt that he could not succeed as László Ürge. Australia’s long experience with immigration has resulted in a national tradition of engaging with diversity in various ways. We have as a nation enthusiastically embraced diversity when it comes to food, music and dance, for example. Yet multiculturalism as government policy and a positive political message has long fallen out of favour. Indeed, the term ‘multiculturalism’ has often been used by populists and nativists to criticise immigration policy and is frequently blamed for an erosion of Australian values, trust, and social cohesion. 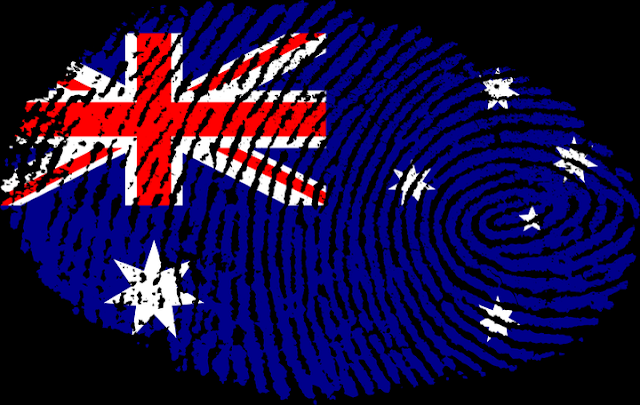 It’s ironic to see dual citizenship playing havoc for politicians who claim not to have known about their ‘otherness’. In a diverse world, such ideas about citizenship seem anachronistic. Over time, popular understanding of multiculturalism ceased to be about access and equity, or even a new national identity for Australia, and became about cultural relativism, political correctness and denigrating ‘mainstream’ Australian values. In doing so, they have considerably dampened enthusiasm in the electorate and reduced federal funding for multicultural policies today. Such views have moved from the far-right periphery to the mainstream. This has given rise to nationalistic and exclusionary political language which values pre-political ties (culture, ethnicity, language group, and so on) over citizenship. And while immigration is seen as important for Australia’s economy, immigrant identity tends to be constrained by negative conceptions of diversity. László Ürge became Les Murray in 1977 when he joined Network 10 as a sports commentator. The Special Broadcasting Service (SBS) was established one year later. Its mission was to consolidate foreign language services in Australia and provide the much-needed outlet for immigrants to hear their own voices. SBS brought us the likes of Les Murray, Lee Lin Chin and Mary Kostakidis on a daily basis, and helped hold up a mirror to ourselves. Les Murray brought us the world game, but László Ürge brought us football.